In the music industry, every so often a song from the past makes it back onto the charts, usually tied into a film or TV show, like Queen's “Bohemian Rhapsody” charting in three different decades. It doesn't happen very often with books. So for a book from 2012, updated, to make the Top 10 lists in Canada at Christmastime 2018, it's a moment worth celebrating. 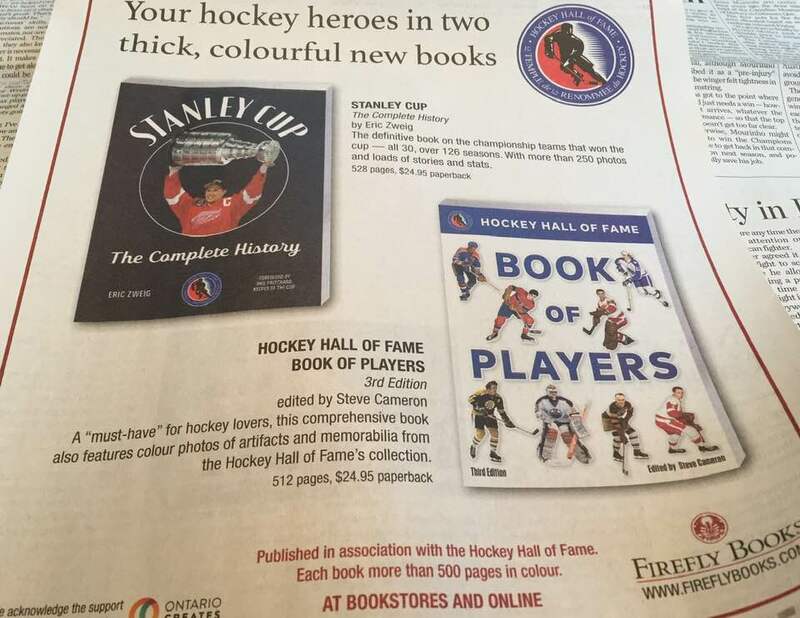 Part of the success this go-round of Stanley Cup: The Complete History, an official Hockey Hall of Fame book written by Eric Zweig, is a publicity push by Firefly Books, and a revamped layout, with a lower price point. The 2012 edition (also from Firefly) had more of a coffee-table book feel to it, and featured Bob Gainey hoisting the Cup along with his victorious Montreal Canadiens. The new edition has Detroit Red Wings captain Steve Yzerman hoisting the chalice. For this go-round, Zweig added six more seasons, as the previous book ended with the Los Angeles Kings' first Cup win. But for all the blood, sweat and tears an author puts into a product, sales are dictated by outside forces. “I was very happy to see the large ads in sports sections (I know they ran in the Globe and the Star; don’t know how many others) in the weeks leading up to Christmas. And very surprised!” admitted Zweig, who has more than 40 books to his name. “I’ve never has such a push for my books before ... and I’ve never had any of my books reach the top 10 in the Canadian best-sellers lists, so I don’t see how there could not be a connection! Kate's Really Good at Hockey is a really good hockey graphic novel. In talking to the co-authors in separate interviews, they both used a word I was unfamiliar with in reference to the book. which Shapiro used as a noun and Frey used as a verb. Since I didn't know the word, the Internet came through as it often does, usually when trying to make sure you spell the last name of the latest Soviet import to the NHL correctly. It's short for “retroactive continuity” and it's a showbiz term that essentially means that a project started out one way and veered in another direction. 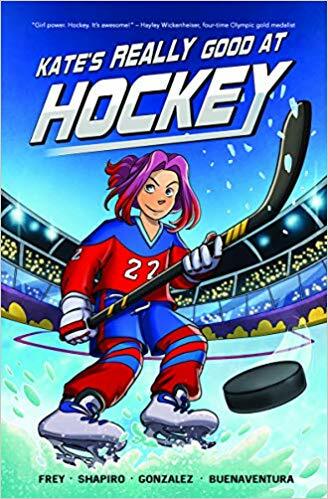 Kate's Really Good at Hockey is aimed at 8-12 year olds, and Frey's 13-year-old daughter was, in the words of Shapiro, “our secret weapon” making sure the characters were speaking like kids would. “We tried to make it as honest as possible,” said Shapiro. 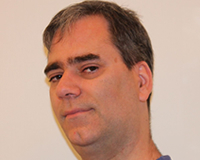 Shapiro is an accountant by day, but at Animal Media Group, which produces books and documentaries. Frey (www.cmfreywrites.com) has edited about five books for the publisher, and Shapiro called her a “phenomenal editor,” especially on memoirs. When he is not crunching numbers, Shapiro works on his books, which now number nine. Hockey Days, which came out in 2007, was Shapiro's first hockey book, following two children's books, Hanukkah Counts Too! and Destructo Boy & Spillerella ... We Are Who We Are! Then Hockey Player For Life came out in 2011, and there are three books in his Forever Friends series of graphic novels: The Stereotypical Freaks (2013), The Hockey Saint (2014), Hockey Karma (2016). “The hockey books I've done are not the typical, kid scores a goal, wins the championship game kind of thing. There's always been more to it than that, as far as life lessons you learn from playing the game,” he said. Frey is happy that Shapiro could deal with the hockey aspect of Kate since that was not her area of expertise. “I did not come to this story with much hockey experience, other than living in Canada. I was actually a baseball player,” she said. Frey currently lives in Maryland. Their illustrator, Jade Gonzalez, did not have any experience either. She lives in Chile. But together, teamwork paid off. “It's a team effort because there's an illustrator, there's a colourist, there's a letterer, proofing, there's a whole group of people involved. It's a long process,” said Shapiro. But this one came together pretty quickly, with the script finished in January, and to the printer by September. Author David Salter announced that he has signed a deal with Nimbus Publishing to write a book about the untold stories of World Hockey Association players from Atlantic Canada.